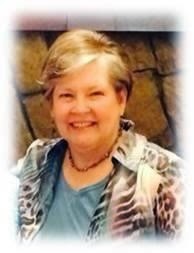 This week’s Authorview guest, Elizabeth Noyes, has been here before. You may recognize her from an earlier post. 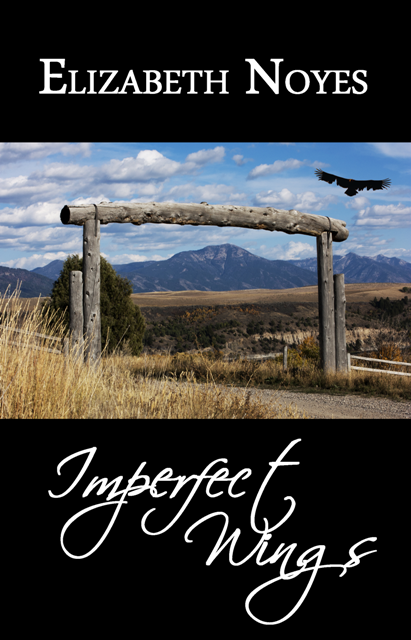 Her debut novel, Imperfect Wings, is a recent release from Write Integrity Press. She has a wonderful, humorous style, and I hope you enjoy her interview. Nickname or “wannabe” name:I grew up being called “Betty Ann” by my family and friends (that’s a strong southern emphasis on Ann, two syllables, pronounced “Ayyy’-yun”). My brother dubbed me with my nickname – “Boop” (as in Betty Boop, not that I looked anything like her). Today, people call me Betty. I am (what you do): For several years, I’ve told people I knew what I wanted to be when I grew up—retired! Last month I did it. Now, I plan to refocus my 40-hour work week on my writing. What I like to read: Reading is my addiction. I love all genres – suspense, romance, sci-fi, fantasy, historical, biographies, even some horror (if it’s not grisly). No war stuff, though. What I watch: On television, I watch old movies, baseball, football, and bullriding! But I also like to people-watch at the park, at church or while shopping. You get some crazy ideas for stories that way. My family: I have a husband (been married for 41 years this Christmas), one son married with a son of his own, and one daughter also married with a daughter and son. There are also assorted grand-dogs at any given time. My favorite food, snack, or beverage: Ice cream – Chunky Monkey, Pistachio, Butter Pecan – haven’t found a flavor I’d turn down yet. What I love to do: Read, crochet, read, yoga, read, write, read, bridge, and … did I say read? What I admire: People who can put themselves out there without fear of rejection. What makes me happy: Sunshine, blue skies, oceans, cruises, other people’s smiles, children playing, dogs napping, flowers, clean toilets, and that all important first cup of coffee in the morning. What makes me sad: A friend’s tears, movies that make me cry, the end of a good book series, a wasted day. I believe: There is a Creator who put order in the universe, one who lets us make mistakes and learn from them, one who created us for a purpose and will gently guide us to the right path if we allow Him. Elizabeth Noyes–professional writer, aspiring author, dedicated dreamer–lives in Atlanta with her husband and best friend, Paul, who listens tirelessly while she regales him with all the tales in her head of damaged, but very human character clamoring to be heard. Imperfect Wings is the first novel in her romantic suspense Imperfect Series. Don Castillo dreams of power. Funnel the drugs into the States and it’s his. First though, he must kill the woman who dared spy on him. The last thing Garrett Cameron needs is another woman interrupting his life, but when the feisty vixen that put a monkey wrench in his mission two years ago shows up at his ranch running for her life — what’s a man to do? The attraction between TJ and Garrett bursts into flame in the midst of danger, a fierce desire that neither is prepared for. Her past is filled with betrayal. He’s lived a life of violence, and love isn’t for someone like him. Do they dare let go of past hurts and embrace a future together? Join in the Fun! Our Five Days of Christmas is underway! Check out our other blogposts for more information and more free stuff!